Finally! Let's get to the sewing! 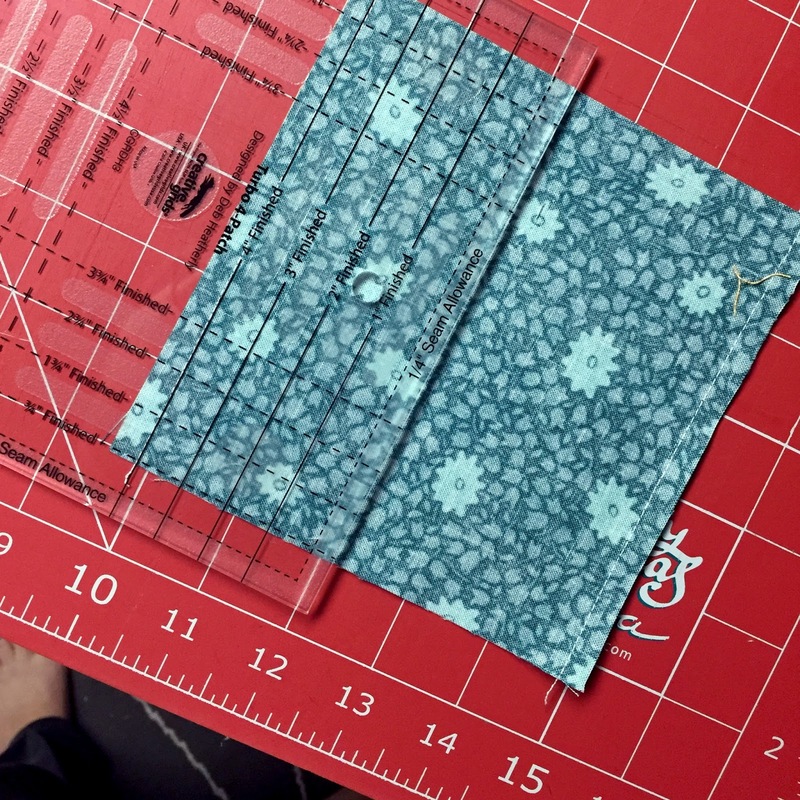 This weekend I started to cut up my scraps and get started creating some 4 patch blocks. 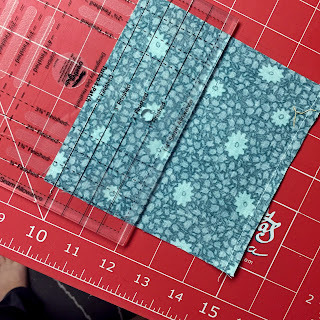 A four patch block is an easy and quick block to create. 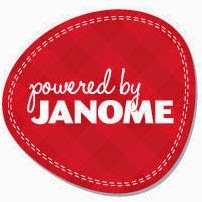 There are SO many tutorials online on how to create them. So, I will skip the tutorial but I will talk about some of my favorite ways to create them easily and quickly. In choosing the fabrics that you will create your four patches remember to look for some contrast between the colors. This will help the pattern to stand out. 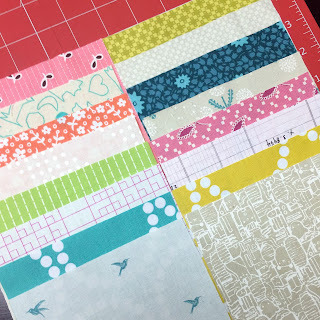 You can create 4 patches that look like a checkerboard (with just two fabrics) OR you can go super scrappy and choose four different fabrics for each block. 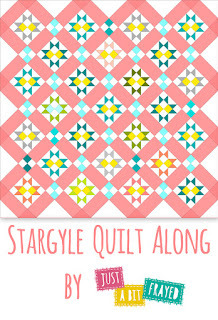 The finished 4 patch size for this quilt is 4"
I'm going to be using this awesome new ruler from Creative Grids. It's called the Turbo 4 Patch Template. 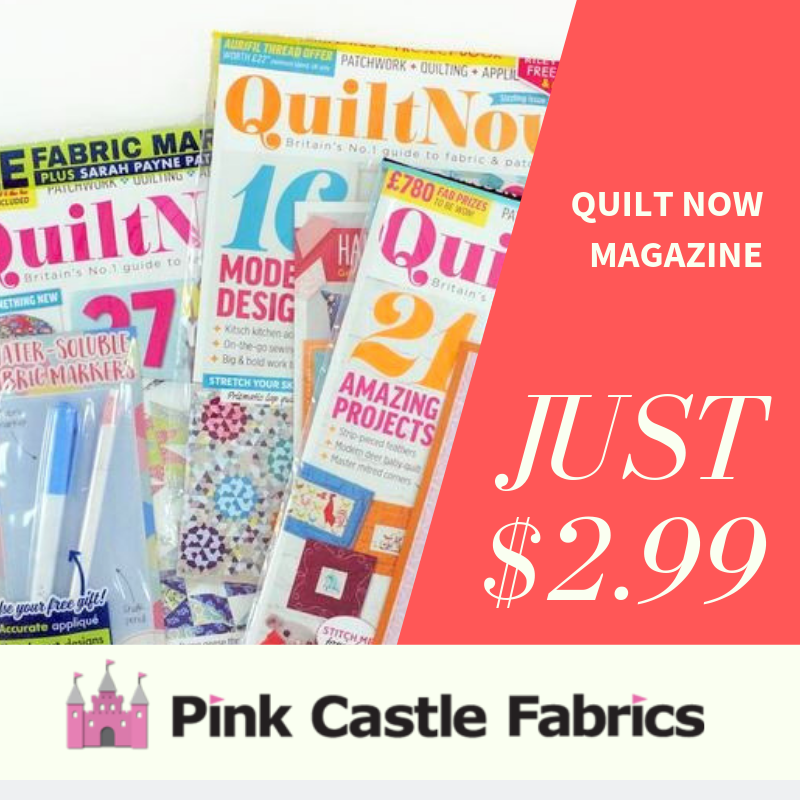 As a shop owner I get links and videos all the time to new notions and tools to help us sew things faster. 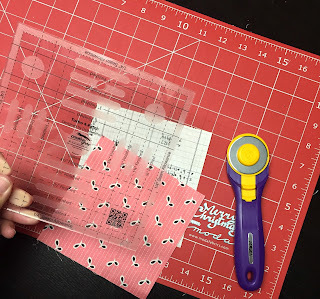 When I saw this video on the Turbo 4 Patch ruler, I had to get one to try it out. The video (or the ruler) doesn't give you an ideal size square to start out with. You can easily just choose whatever sizes you have already in your stash and you might have extra in the middle (like in the video). 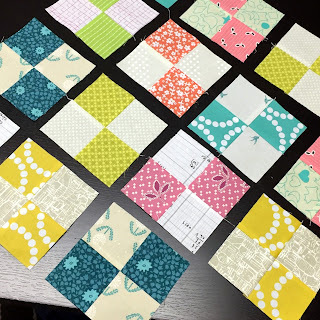 But, I have found that if you start with two 5.5" squares (one light and one dark) you have two finished 4 patch blocks (finished size 4") with little waste. It is easy enough to chain piece these blocks! I am using low volume fabrics for my background and some bright colors for contrast on my four patches. 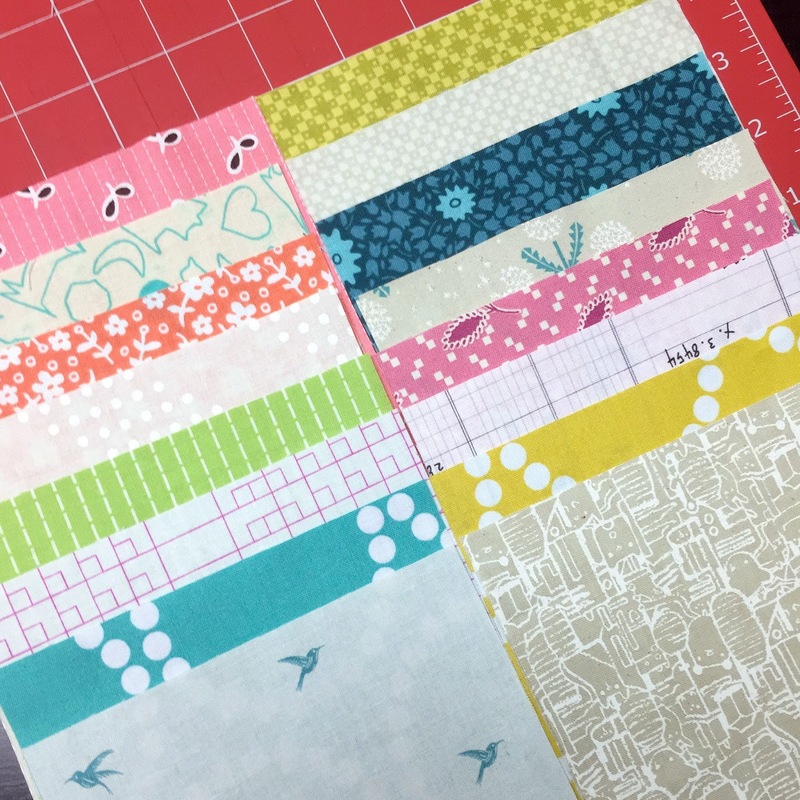 This way I'm able to use up even more scrap fabrics! I decided to rewatch the Veronica Mars series (again) and I had all these (and some more for the stars) cut out in just one episode. These are all 5.5" squares. Each pair (one light and one dark) create two 4 patches! Easy peasy! It doesn't matter what method you decide to use to create your 4 patch blocks. Just remember that you will want your blocks to finish at 4" square (4.5" x 4.5" before you sew them together) for this pattern. 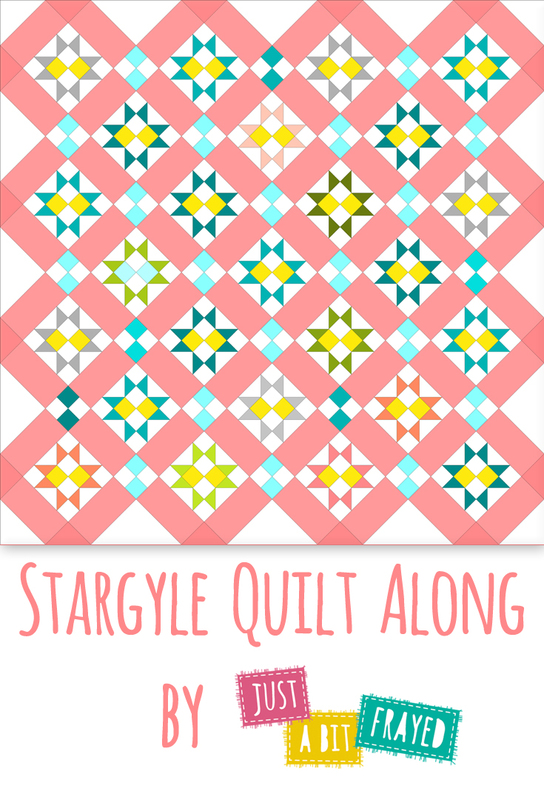 Don't forget to add #stargylequilt on your Instagram posts! I can't wait to see everyone's 4 patch blocks!